Official ALA Product Launch, Coming Soon! Available Now: Pacific Sun Lights and Dosing Stations! Innovative Marine Nuvo Black Series, unique tanks at GREAT prices! Trigger Systems and ESHOPPS sumps for sale with FREE shipping! 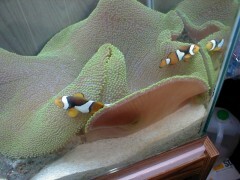 Discounted Red Sea REEFERS, exclusive offer for LOCAL forum members! Welcome our newest sponsor Aqua Lab Aquaria!